Twisted Takeover Launch A HUGE Hit!! Wow, what a success. The show, commissioned by Electro Love had a full house both nights at our launch at Isle of Wight Festival and the crowd went wild! Thank you so much to everyone who came down the atmosphere was ELECTRIC and we loved every minute of it! Here are a couple of our favourite snaps.....watch this space for future events and gigs! LVB are delighted to be teaming up with Quay Arts and The Fitness Factory. As from Jan 2017, our Theatre Company and our Street Dance Crew Rehearsals will based out of Quay Arts Theatre, Sea St, Newport. Quay Arts is the Isle of Wights leading art gallery and venue for live arts events. It is a thriving hub for the arts, housing art galleries, a theatre, workshop spaces, a craft shop and a cafe. As dance has been previously under represented at the Quay, we are delighted to announce that we will be operating out of their Theatre every Thursday to produce some quality contemporary and hip hop dance theatre productions throughout the year. Our pre school dance and beginner - intermediate street dance classes will be held at the studio in The Fitness Factory, Portland St, Newport as from 30th Jan 2017. 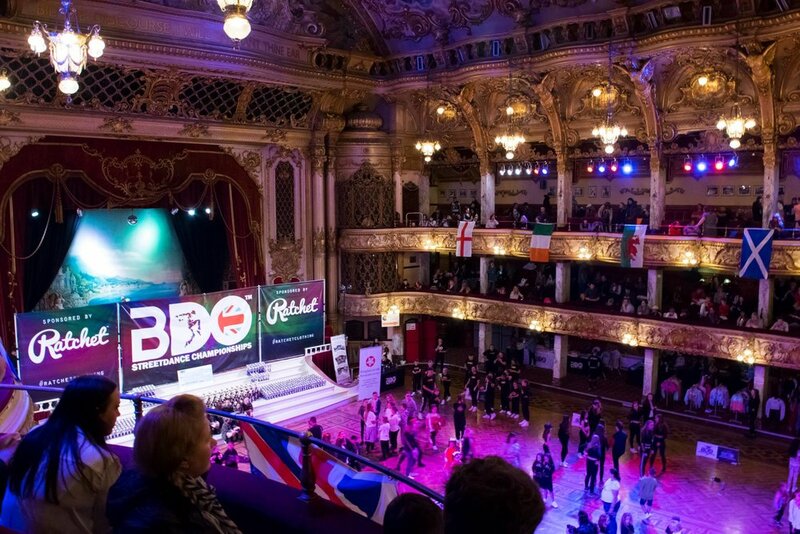 BDO South West Street Dance Championship Success! 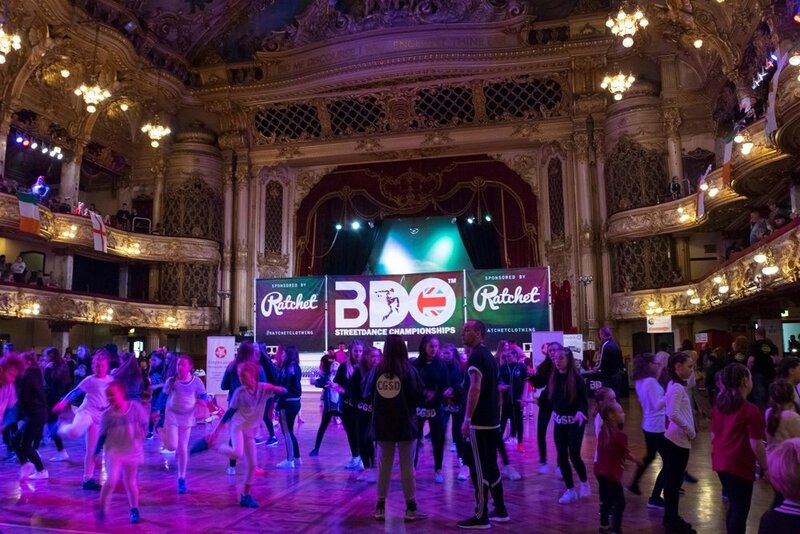 We are delighted to announce that after attending the British Dance Organisation Street Dance Championship in Wiltshire, our under 12's team did so well that they qualified immediately for The British Street Dance Championships in the Blackpool Tower in April 2017! Well done to all parents and children involved. A huge well done to Lil' LVB (our Street Dance Crew, all aged between 7-10yrs). They had their first big competition on Sunday at The BDO South Coast Street Dance Championships in Worthing, Sussex. Up against large crews of 20 kids or more per team and with the largest amount of entries in their category, they danced amazingly and were only one of 6 teams who won a place on the day and come away with medals and a cup. They were so impressive that the judges gave them a place which automatically put them up a category from First Timers to Amateur, something that rarely ever happens on your first competition. AMAZING performance, behaviour and attitude...they truly did us proud. Here are some pics from the day. Diversity you'd better watch out because Lil' LVB are on fire! Just after they won their cup and medals! Hilltop view of some of Indonesia's most remote and uninhabited islands. We have decided to come to Indonesia to seek out a perfect paradise location for our brand new Holistic Wellbeing Retreats that we are launching in 2017 and to check out the famous Bali Spirit Festival held in the arty spiritual yogi mecca of Ubud. Flying into Denpasar, Bali you are surrounded by sprawling mass tourism which plagues the south of the island. This is the Costa Del Sol for Australian tourists and although it has still managed to retain some of its beauty, the high rise blocks, thousands of hotels and drunk tourists are oceans apart from the tropical paradise I have in mind for our retreats so I head straight up to the north where there is a far more local traditional Balinese feel to see how the location fairs. North Bali has a soirée of temples, hot springs set into wild mountain jungles and hidden waterfalls. It was a truly wonderful experience connecting with the energy of the jungle and meditating in the hot springs. I was left feeling totally invigorated with a completely clear mind. The north in general is totally incredible, but the black sand beaches don't do much for invoking the kind of relaxation that their counterpart idyllic white sands do. Ubud - a mecca for art,spirituality,wellbeing and soul seeking. This is truly a place that promotes a state of love, for yourself and for each other. A truly international destination, I would live here (for part of the year) in a heartbeat. But be warned, it's a large bustling town with scooters and traffic everywhere. Spotting the elusive pavement should be a national sport and the traffic lights and pedestrian crossings are just for show. Everybody loves a hug! That wrap around feeling you get when you feel loved, warm and glowing inside is second to none. As a workshop leader in fitness, wellbeing, dance, sport or team building you too can facilitate this with some simple feel good stretches to help open the heart. Use to either open or close your session depending on your specific workshop objectives. Trust me, your clients (young or old) will love it and when they leave feeling on a total high they are more likely to chat to their friends and family about your class which in turn will yield more clients for you so it's a win win all round! From all fours, make sure that your hips are stacked directly above your knees and shoulders are stacked directly above your wrists. Knees and feet are hip distance apart. Wrists are shoulder distance apart. Fingers are spread and connected with the floor. Come into Cat pose (image 1) on an exhale. Come into Cow pose (image 2) on an inhale. Yogi's claim this stretch opens up the heart leaving you feeling happy and glowing. This exercise feels amazing for your heart and your lower back. Lying on your back, cuddle your knees up to your chest. Keeping your lower back on the floor, circle your knees in one direction a few times and then change direction. Don't forget to keep your chin down so your neck is straight. Find a partner and sit on the floor opposite them with your feet as wide as possible. One person's feet go on the inside, the others stay on the outside. The person who has their feet on the inside gentle pulls the other person towards them. Hold for 30 seconds then switch positions and repeat above. Fantastic for building trust and flexibility. Warning....usually ends up in a fit full of giggles! I have just returned to the office from one of my Tuesday morning dance classes. I absolutely love this class! All the women are fantastic sports and we genuinely have such a giggle. Many...if not all, have been through tough situations in their personal lives recently and I don't think I'm speaking out of turn when I say that our dance class is their one hour of escape and time for themselves and a necessity to help them deal with whatever life throws at them. The bond they share as a group, the confidence and support they gain from the class and each other...and of course the laughter, have a lot to do with that. Being an advocate for wellbeing and happiness, my intention is that all of our dance classes and workshops not only teach fantastic dance technique but also build confidence, self respect and a feeling of empowerment regardless of age, gender and backgrounds of the people attending. This is of upmost importance to myself and the others that work within the organisation as it is the very soul of our company. Yes, dance and movement is the initial medium that attracts different people to come together to form a group and it is very important to deliver highly professional and correct instruction in the relevant dance techniques that you are teaching. But, if your intention from the beginning is to use your gifts and skills to help people to grow into the best that they can be emotionally, physically and mentally helping them to feel supported and loved, then the process itself can go way beyond just learning of a bunch of steps or improving dance technique. And for me, this is where the real magic happens! So here is my top tip for today to help you incorporate more love into your classes and workshops regardless of what you teach. Only together can we make this world a better place. GET INTO A CIRCLE- Don't just stand at the top of the class and have everybody facing towards you in the same direction. Although this has been the typical template for all instructors of dance, yoga, pilates, fitness classes and many many more...the list goes on, it means that their attention is only on you. This is not conducive to helping them feel bonded as a group nor does it empower them in any way. Being in a circle will help your students to connect with the group, feel included and believe the are valued as an important member of the group which over time can lead to all sorts of increases in confidence, and a feeling of being safe and supported. Once this is achieved, that feeling of empowerment and increased self worth echoes in all other parts of their lives and you will be inundated by their feedback, messages, thank you cards and comments about what a difference the class has made to them. Even if some of your students aren't particularly going through anything tough in their lives in this moment, they will still appreciate this simple technique because ultimately, everybody responds well to feeling included and a valued part of something they enjoy. Sure, there will be times in the class that a circle is impractical and you will need to teach them using the typical template as stated above but when you don't absolutely need to use this format then don't. Never ever underestimate the power of the circle! It has the ability to transform your class and transform a lot of lives.